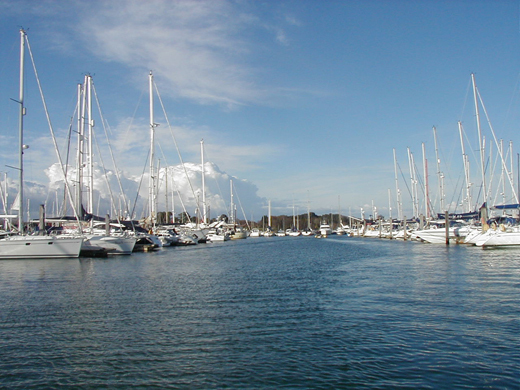 I joined Network Yacht Brokers in March 2008, buying the Lymington Licence from my predecessor who was retiring. My decision to buy a Yacht Brokerage was in taking me back to my early Yachting roots where I trained and worked for a number of years in the Boat Industry in the late 70’s and early 80’s before leaving to broaden my general business experiences. I eventually ended up as a partner in an Engineering business which we sold in October 2007 and so it was time for me to come full circle. I looked at the market in general and the feasibility of both going alone and buying a Franchise and neither held a great deal of promise, by which time I had seen Network Yacht Brokers and the great system they had of operating as a cooperative. This gave me everything I wanted; My own business where I retained all of the profits and benefits made, A first class website professionally managed to ensure high ratings from goggle searches, magazine advertising in leading yachting magazines as part of full page adverts and a great group of like minded people to share ideas ask questions of and therefore not feel I was starting out on my own. Its been a huge benefit to say to potential clients that whilst I’m an independent broker operating on my own in my own area, I am also part of a Network of Independent brokerages around the country with shared advertising and website with boat search functions which will enable any office in the group to help sell their boat. The group is now expanding and with more areas and offices being opened across the country this can only help to strengthen each individual office as well as the group as a whole.